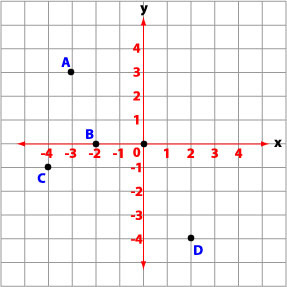 Name the coordinates for each point. What are the coordinates for A? 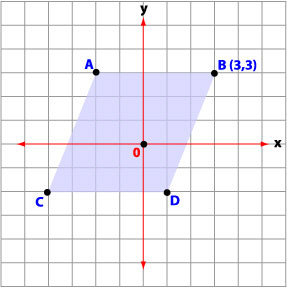 What are the coordinates for B? What are the coordinates for C? What are the coordinates for D? What are the coordinates for point A on the parallelogram? What are the coordinates for point C on the parallelogram? What are the coordinates for point D on the parallelogram? Select above or below to make the statement true. Select left or right to make the statement true.